The long run is key in your marathon preparation! Often people ask me about the secret of a successful marathon and my answer is always the same: “there is no secret, just do your long runs”. It's as simple as that – a marathon is 42.195km long, so you have to prepare your body to go for extended periods of time.Train your specific muscles. Train your metabolic system. Train your mental strength. And please, stay calm. The metamorphosis to a marathoner won't happen overnight. I recommend a typical 12-week plan to give your body enough time to adapt to the new stimuli without overtraining and injury, or mentally burning out. I divide my marathon aspirants into two groups, the first group is people trying to finish their first marathon without having any specific time goal in their mind, it's all about achieving the overall distance. If you belong to this group, try to run longer each week, e.g. start with 15k in week 1 and add 2-3k each week. You should be able to run 32-35k 14 days before the marathon. Don't focus too much on the pace you run it will improve with your growing fitness level despite, or exactly because, of running for longer. The second group is people like me who are shooting for a PR or a debut with a certain finisher time in their head. In my 12-week buildup to the Marathon Nationals this year, I included a total of 7 runs over a distance of 35 Kilometers or more. 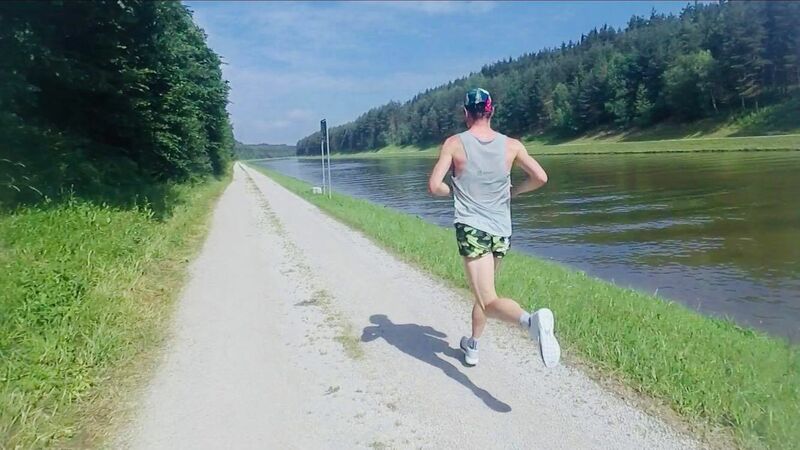 Of course nobody can start their preparation with a 35k long run in the first week – even I can´t – you already have to be prepared in terms of general running fitness to do so. That means you should have run at least 25k, or even better 30k, a few times in the weeks before. The specific longrun is the most important tool for my marathon plans. Usually I prescribe to run them progressively and in a high aerobic but alactic metabolic area. That means the pace is calculated as 80-95% from your lactate threshold, which is estimated based on your goal race pace or exactly measured at a performance diagnostics center. And I always add some race pace reps in the last third of the run which increase over the weeks e.g. 4-6x2min, then 3x2k or the last 5k fast. It’s very demanding but also very useful, and a proven system by many successful runners. Therefore I only have to include one more tempo session over the week to make sure I have enough quality in my training. This approach, which focuses on two hard runs per week, also gives me body enough time to recover. In the first weeks you might think “how can I ever run almost three times that distance” or “how the hell will I maintain that 2 minute pace for 42 kilometers?” Remind yourself what I wrote at the beginning, stay calm, be patient, time will show and your body will unfold to its full potential. Here are some examples of goal paces. If you are able to complete your final longrun 2-3 weeks before race day at the following pace there is no reason to be worried, lean back and relax.